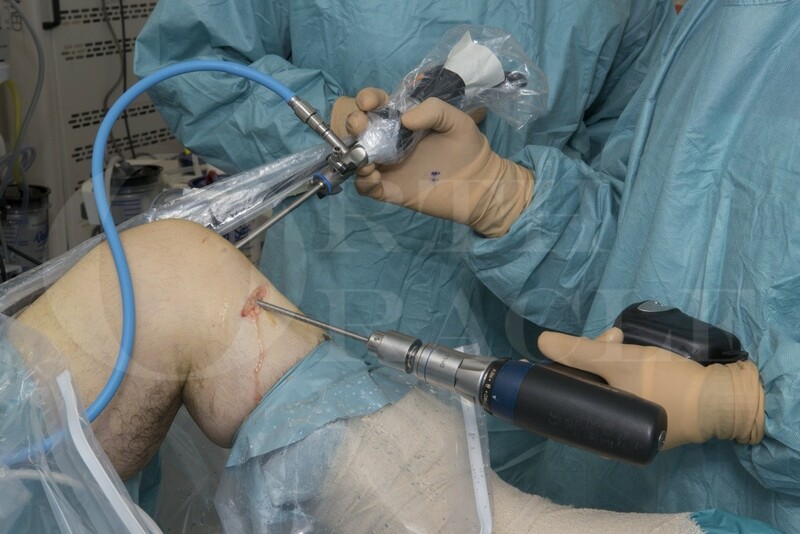 Learn the Anatomic ACL reconstruction using hamstring tendons ( Linvatec graft tensioner) surgical technique with step by step instructions on OrthOracle. Our e-learning platform contains high resolution images and a certified CME of the Anatomic ACL reconstruction using hamstring tendons ( Linvatec graft tensioner) surgical procedure. The incidence of anterior cruciate ligament rupture is estimated at 0.3 per thousand patient years and are often combined with other ligament damage. Daniel et al (1994) showed that up to 49% have an associated meniscal tear. ACL ruptures have a has a significant and long term affect upon future knee function. Accurate early diagnosis is important with careful examination and MRI the investigation of choice. Careful vigilance for concomitant ligament or meniscal injuries is vital. Considerable data has been published on the outcome following ACL injury both with and without reconstruction. Treatment has significantly changed over the past thirty years with the advent of arthroscopic surgery. Understanding the anatomic location of the ACL is imperative when choosing a technique. The objectives have evolved from isometric tunnel placement and prevention of notch impingement to attempts to restore the anatomy of the native ACL. The Linvatec graft tensioner is a very useful device that helps a Surgeon with one key step of the operation. Institution : The Royal Orthopaedic Hospital ,Birmingham ,UK.